NAIROBI, KENYA – The Auschwitz Institute for Peace and Reconciliation, in collaboration with the Kenyan National Committee for Genocide and Mass Atrocity Prevention, conducted a training seminar for members of the Committee in Nairobi, Kenya between July 29 and 31, 2015. The training was dedicated to the memory of Ms. Joan Namazzi Kagezi, who was murdered by unknown assailants on March 30, 2015. She served as Senior State Attorney at the Ministry of Justice of Uganda and was an alumna of AIPR’s Raphael Lemkin Seminar. Ms. Kagezi fought tirelessly against genocide, war crimes, human trafficking, terrorism, and crimes against humanity. 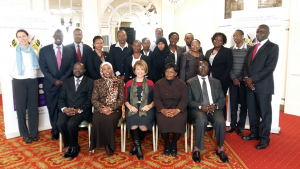 The opening ceremony of the training featured the participation of Argentine Ambassador Bibiana Jones, as well as a representative from USAID in Kenya. The Ambassador highlighted Argentina’s experiences with, and efforts to overcome, the legacy of mass atrocities and her country’s commitment to developing partnerships, skills, and capacity to help with healing and develop the capacity needed to terminate cycles of violence in the region. 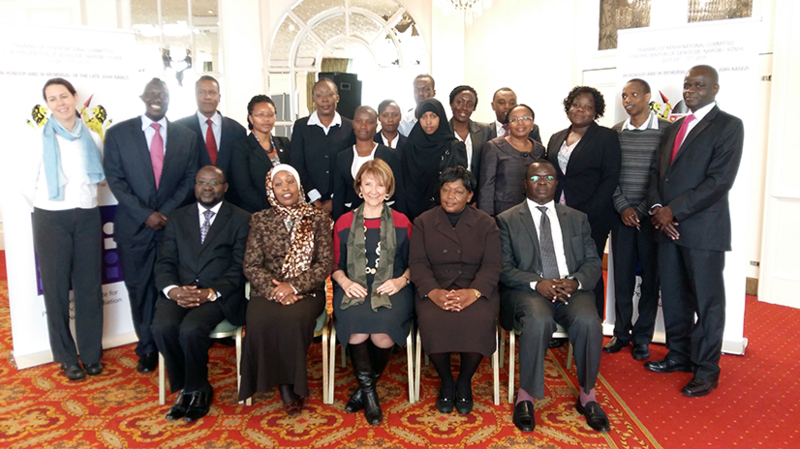 Examine the state of prevention mechanisms in Kenya and the region. Improve understanding of prevention approaches, including the role of memorialization. Develop capacity to plan and implement prevention projects at national and grassroots levels. its applicability and limitations in Kenya. Three case studies were employed to highlight experiences from the Great Lakes Region concerning risk assessment and early warning, memoralization of war crimes, and best practices in reconciliation and healing. 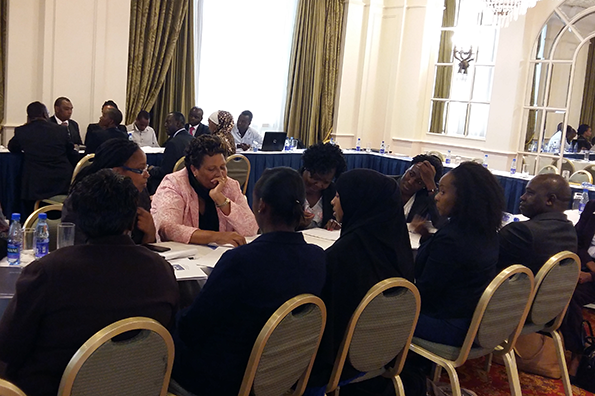 Pursuant to the third objective of the training, participants developed plans to establish a Peace Park in Nairobi to commemorate past atrocities and promote prevention. They also discussed efforts to coordinate and advocate for policies that would mainstream early warnings and provide for timely responses preventing future mass atrocities in Kenya. Additionally, the 2015-16 work plan for the National Committee was reviewed to prioritize the aforementioned projects. The training concluded with a session on working with the media towards effective genocide and mass atrocity prevention, drawing principally from experiences in Kenya. To learn more about our African Programs, click here.